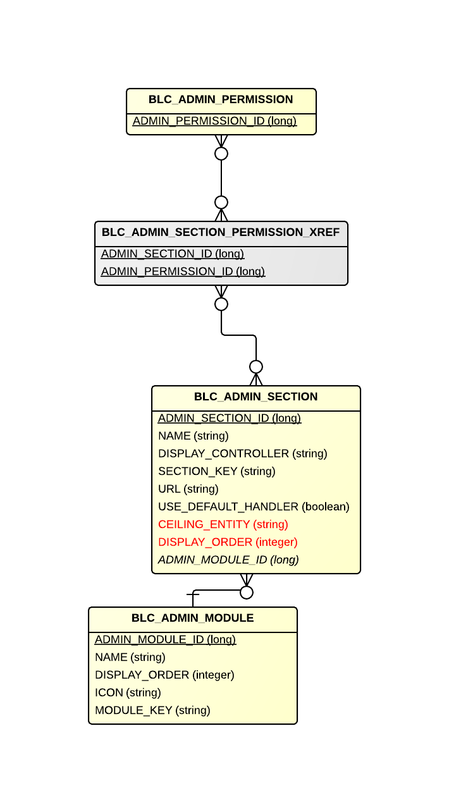 BLC_ADMIN_MODULE AdminModule Represents an admin user. BLC_ADMIN_SECTION_PERMISSION_XREF - Cross reference table that points to an admin permission. BLC_ADMIN_SECTION AdminSection Represents an admin section. BLC_ADMIN_PERMISSION AdminPermission Represents an admin user permission.